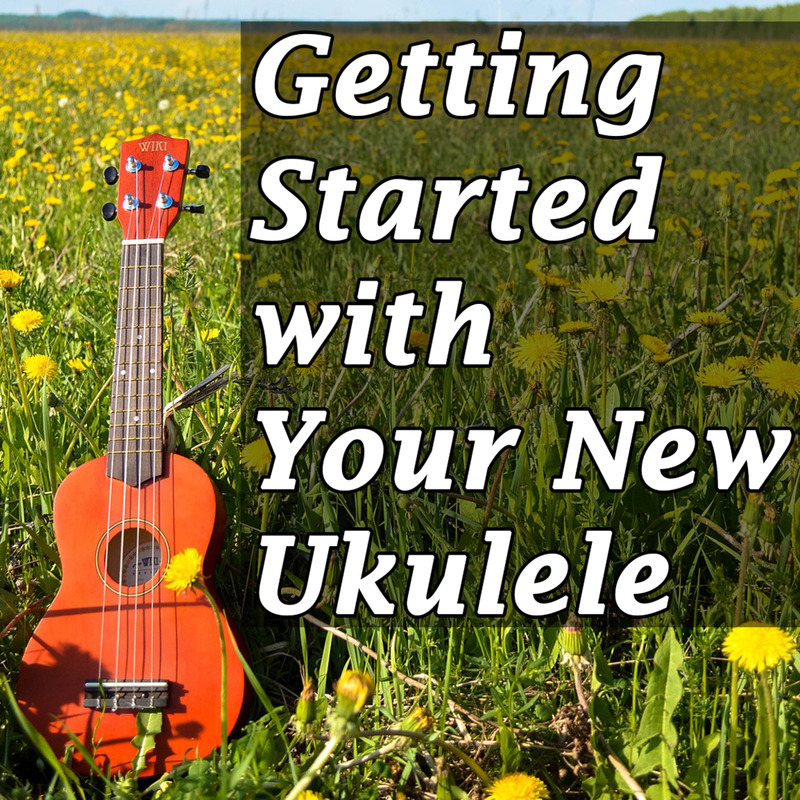 So you’ve just purchased a new ukulele and you don’t know where to begin. Perhaps this is your first string instrument, or maybe you’ve been playing guitar for years before deciding to try out its smaller cousin. 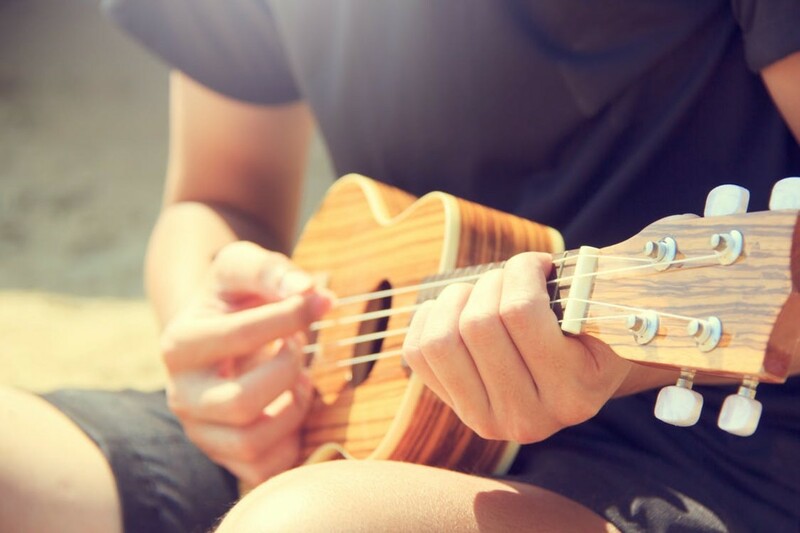 Either way, there are several things you need to know about ukuleles before you can begin learning to play your favorite songs. The first thing you need to know is how to hold your new instrument. To properly hold your ukulele, first pick it up with your right hand. You should grasp the instrument where the neck meets the body. Next, you will position the ukulele so that it is against your body. You can hold it against your chest, but if this is uncomfortable, try to move it up or down until you find a comfortable position. The instrument should be help parallel with the ground, or at a slight upward angle. Use your right arm to cradle the ukulele against your body. Try to keep your elbow at about a 90-degree angle and press the bottom of the instrument against your forearm. Don’t squeeze your ukulele too hard though. You should use just enough pressure to keep it in place. Next, place your left thumb on the back of the net, between the nut and the third fret. 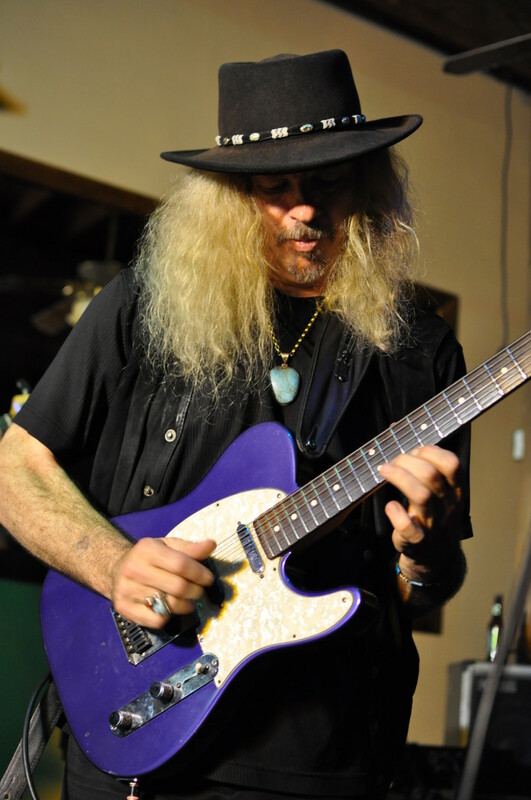 Your fingers should be positioned so that your fingertips can press the strings on the first four frets. This is called “first position.” Your left elbow should be held slightly away from your body. Try to keep your wrist straight as you hold your ukulele. Now, extend your arm along the bottom of the ukulele. May sure your right hand can reach far enough to strum with your thumb and index finger. You should strum between the sound hole and where the neck meets the body. The four strings on your Ukulele are G C E A. The way I remember the names of the strings is mnemonic Giant Cats Eat Always (which was inspired by my rotund cat, Salem). You will often see the strings numbered from left to right as 4 3 2 1. 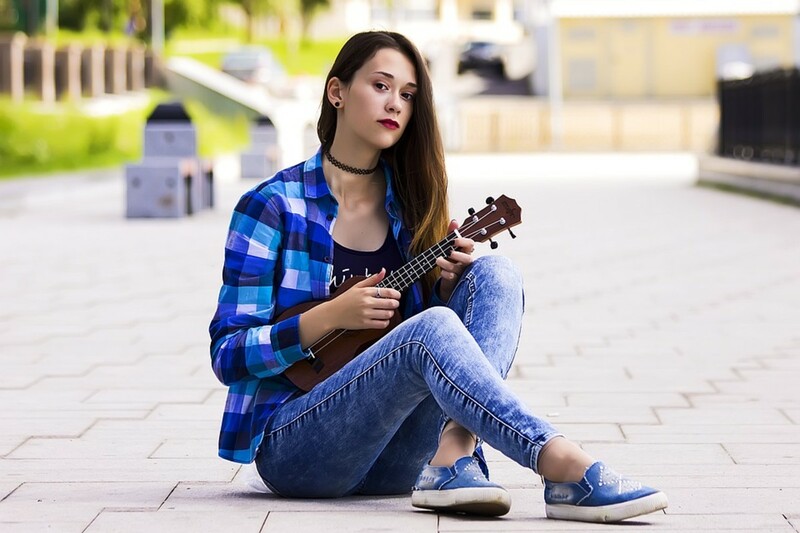 You will notice that, unlike a guitar, where the strings are in order from fattest to thinnest, a ukulele usually has a thinner string, followed by three strings ordered from thickest to thinnest. This is known as reentrant tuning. 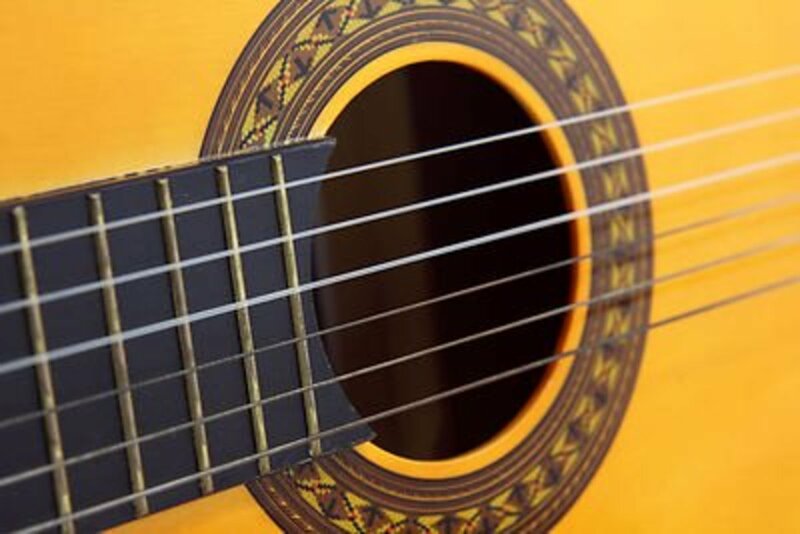 Some people prefer to use a low G string instead of the standard reentrant tuning, however, to give the instrument a fuller sound and a greater range. The easiest way to tune your ukulele is to use an electronic tuner. Electronic tuners are devices that can be clipped to the headstock of your ukulele to tune the instrument. If your tuner has different settings, switch it to “C” mode or “Ukulele” mode, depending on the types of settings available. Pluck each string individually and adjust the pitch using the tuning pegs on the headstock. 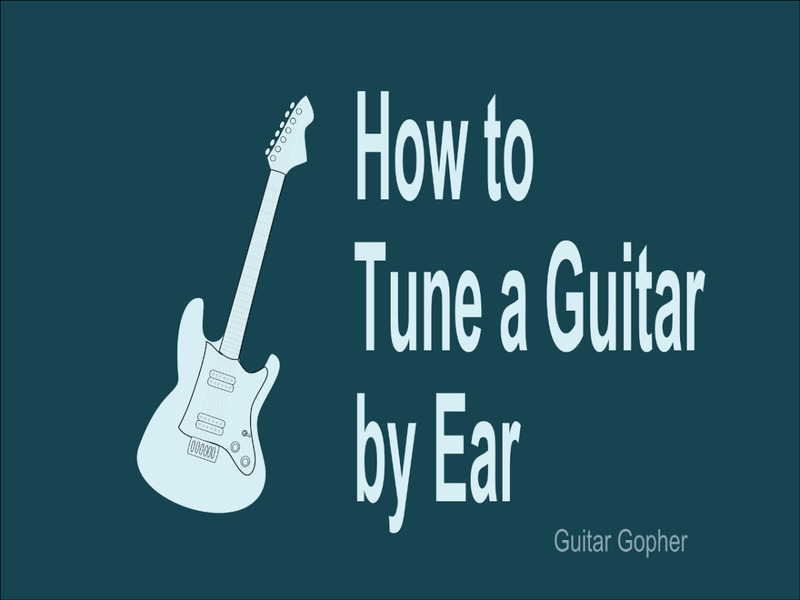 There are also tuning apps available for your smart phone that work the same way as an electronic tuner. I use one called “Guitar Tuna” on my iPhone, which has settings for ukulele, guitar, bass, violin and several other instruments. 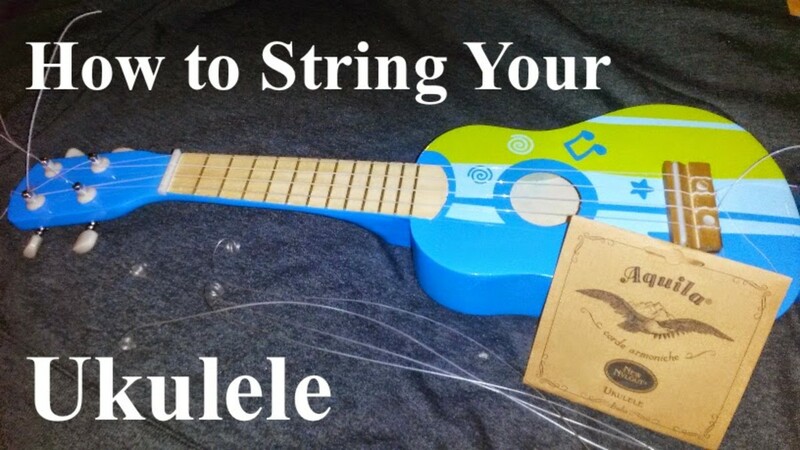 You can also use a piano to help you to tune your ukulele strings. Begin with middle C for the third string. Then use E for the second string, G for the fourth string, and A for the first string. If you do not have a tuner or piano available, you can also tune by ear once you become more experienced. For the purposes of this introductory article, I will assume that you have a tuner or piano available. 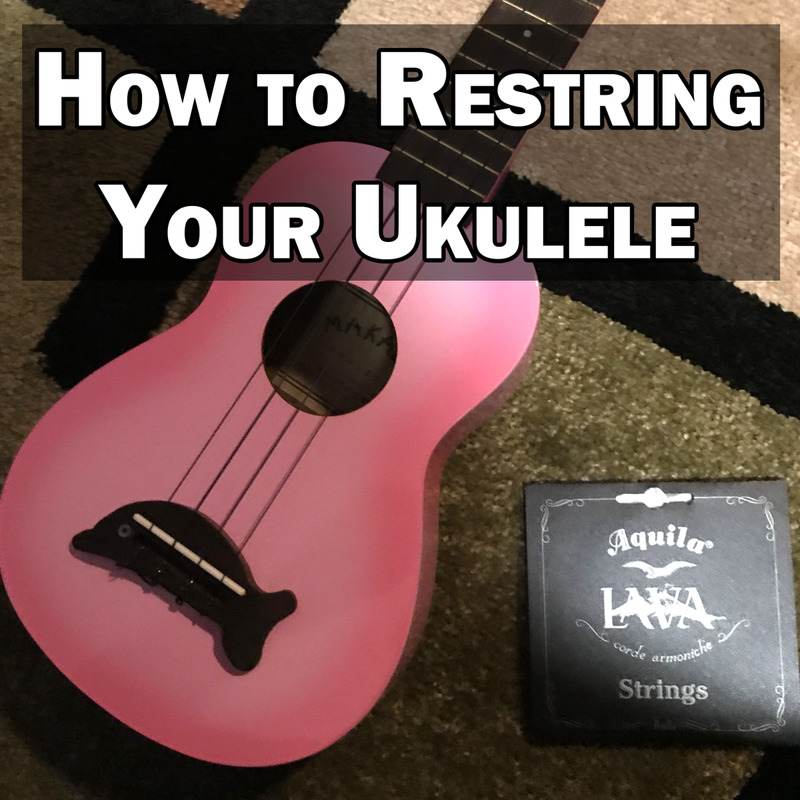 It is important to remember that you will need to retune your ukulele often when it is new and when you change the strings. 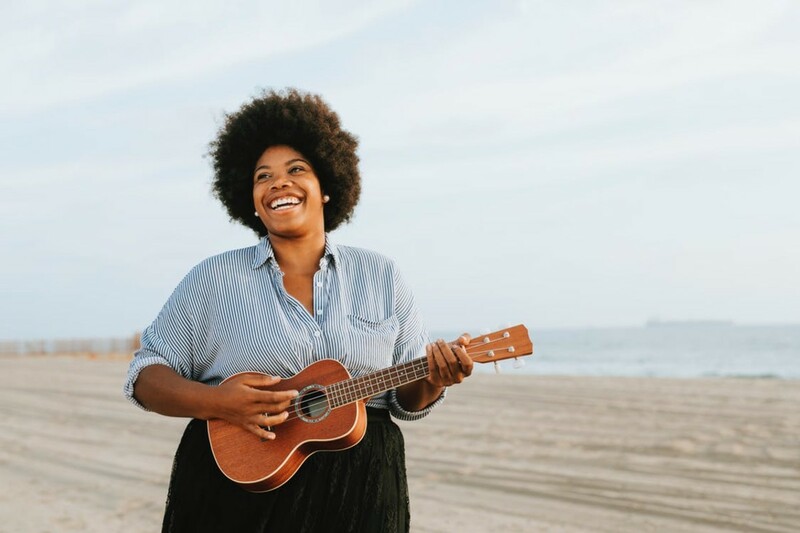 The nylon strings stretch out a bit, and it takes them time to get “broken in.” As you continue play on your new ukulele, eventually the strings will start to stay in tune. To speed up this process, you may wish to stretch the strings. 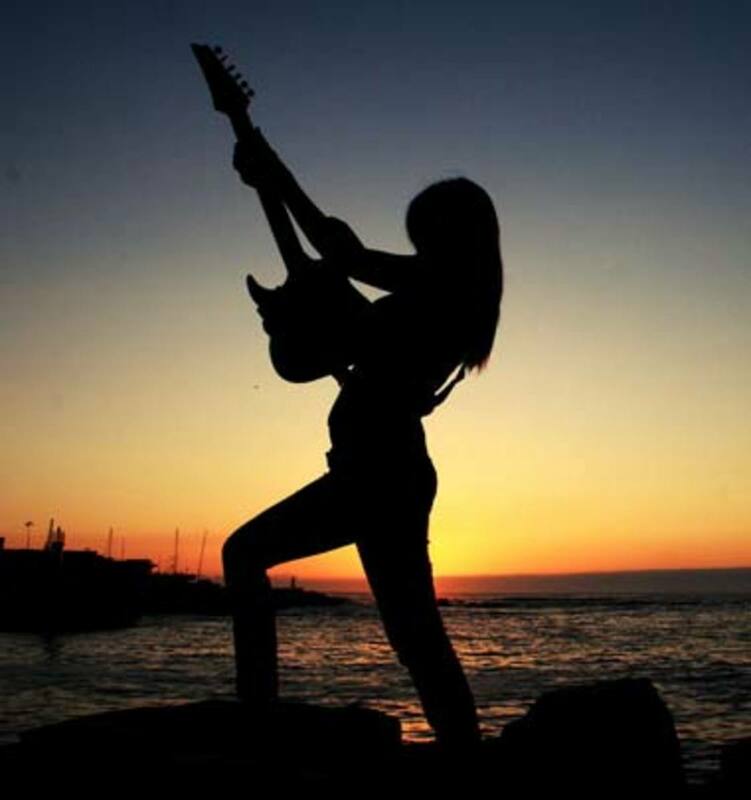 Once you have mastered playing the notes in the C major scale, you will be able to play many simple, easy-to-recognize tunes in the key of C. The C major scale is easy for beginning musicians to learn because all of the notes are natural (not flat or sharp). 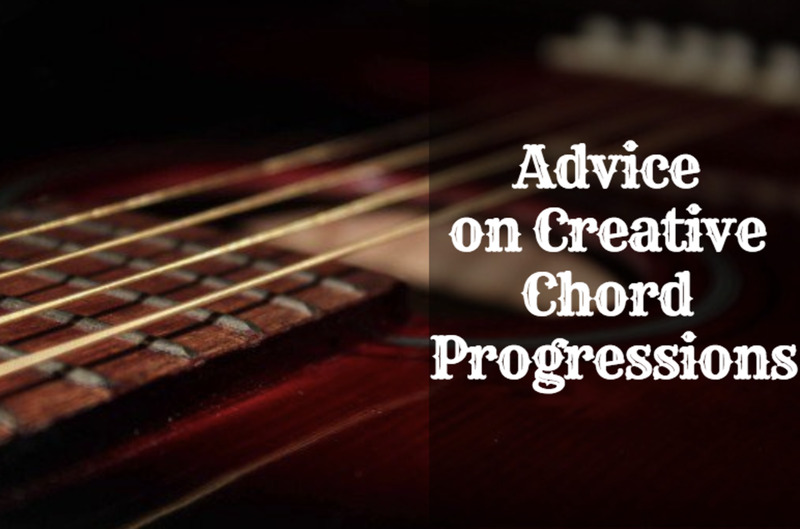 The first three chords you should aim to master are C, Am, and F. Once you know these three chords, there are many different songs you will be able to strum along to. 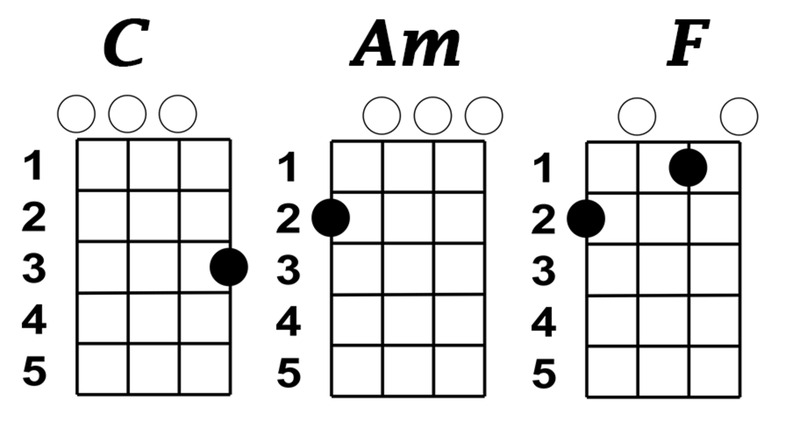 These three chords belong to the C Chord family (along with Dm, Em, and G7). A strumming pattern is the rhythmic pattern in which you strum your ukulele. Sometimes you will see the strumming pattern notated along with the sheet music or tabs, while other times you will have to decide for yourself what strumming pattern works best for a particular song. When you are first starting out, you may wish to use the basic “down, down, down, down” strumming pattern for simple songs in the 4/4 time signature. 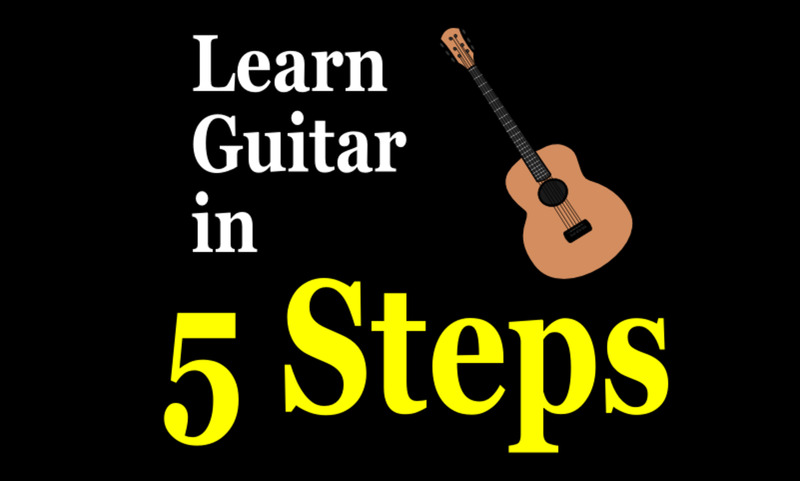 After you have gotten some practice, you can experiment with more interesting strumming patterns, including up and down strums. What are You Waiting for? Start Playing Today! 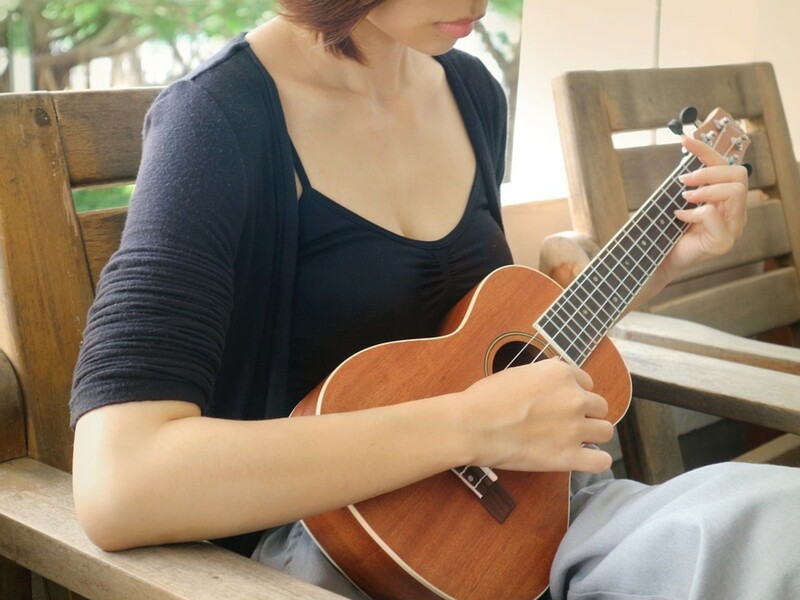 By learning a few simple techniques, you will quickly be able to play songs on your new ukulele, even if you are completely new to playing music. Practice every day and soon you will be playing more complicated songs. You can’t be sad when listening or playing the ukulele. Enjoyed your post.